I remember the shock I felt when I found out the hard way that implants don’t always stop a positive result. I would be lying if I said I was expecting to see two human shaped blobs during my first scan. I wasn’t exactly prepared for having a couple of firstborns at seventeen, the money was always going to be tighter than the contractions. I guess I should count my lucky stars that the father to be had the decency to stick around and help- if only for the fun parts. I didn’t want to tell mum but a dressing gown can only hide a bump for so long. 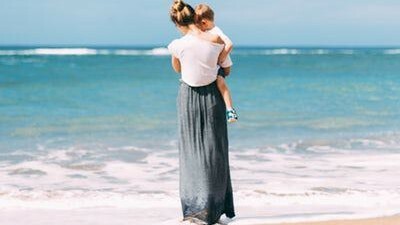 I decided to move out and save the truth for over the phone-the words I heard received would determine whether my babies grew up without a gran. I grew bigger, the pains came more frequent, the moods lasted longer. I got scare stories from my nosy aunty, saying birth would be like getting ripped off, whatever that meant. I was disappointed with childbirth, it hardly managed to live up to expectations, but the two tiny new-borns handed to me by the midwife, more than made up for it. I started to become depressed, over a month into their lives, anxious to get attached, still it can’t be said that I loved them no less. I shouldn’t have panicked like that at the christening, that’s when I’d start to lose them. I received a diagnosis for my disorder a few days before the first birthday party. I ended up dropping the cake when I saw mum standing at the door, presents in hand. I shouted, screamed, told her to get lost, it was the first time the toddlers saw mummy angry. I never expected “She” would stoop so low, make a few worried calls, convince everyone else that I wasn’t fit to take care of my own. I haven’t seen them for months now, my mental health makes daily life hard, without them it’s impossible. As always if you are interested in sending in a piece of work, to be featured here on our site.